ALAN SHATTER HAS condemned Johnny Ronan’s use of a phrase “synonymous with Nazi inhumanity” as part of the Celtic Tiger developer’s public bashing of bad bank Nama. Ronan co-opted the Nazi slogan ‘Arbeit macht frei’ – roughly translated as ‘work makes you free’ – that infamously hung over the entrance to Auschwitz and other concentration camps in his published submission to the banking inquiry. “Arbeit macht frei” nó, i nGaeilge, “Tugann saothar saoirse”, he wrote at the end of 20-odd pages of evidence in a bizarre replication of a motto now associated with the deaths of millions of Jews and other prisoners during the Holocaust. The Fine Gael former justice minister, who is Jewish, this afternoon said it was “beyond my personal comprehension that the notorious and diabolically misleading” statement would be used by an “internationally known Irish businessman”. “It is totally bizarre that he felt the need to have the statement translated into Irish,” Shatter said. Ronan, who became synonymous with the boom with his jet-setting lifestyle and model girlfriends, “exited” Nama earlier this year after paying off debts worth €300 million. “I am very glad to have exited Nama and do not intend to look back,” he told the banking inquiry. “However, we, as a nation, need to learn from our mistakes,” he continued before quoting the phrase. Shatter said it was “entirely inappropriate” that the phrase would appear on the Irish parliament’s website for global viewing and he called for that section of the developer’s statement to be removed. Elsewhere, among other claims in the partially-redacted documents, Ronan lays special blame on the bad bank for moving too early on debts attached to the Battersea Power Station project in the UK. Nama sold the asset for €600 million, but the developer claimed his company had consistently projected a £4.2 billion (€5.7 billion in today’s money) profit on the deal if it had been able to see the project through to completion. He said there was “little doubt” if Nama hadn’t enforced on the loans, Treasury Holdings, the development company he shared with Richard Barrett, would still be operating and would have paid all its debts. Instead the company was put into liquidation in 2012. Nama chairman Frank Daly has previously described the transaction as a “very good deal” for Irish taxpayers. In a statement today a spokesman for the bad bank said Ronan’s claims “have been comprehensively considered by the High Court, which ruled in Nama’s favour”. Email “Johnny Ronan use of notorious Nazi work slogan 'beyond comprehension': Shatter”. 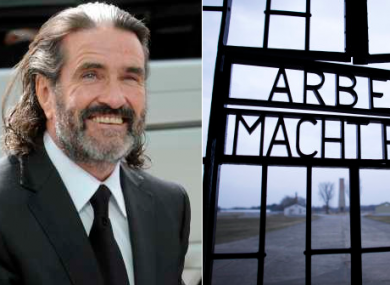 Feedback on “Johnny Ronan use of notorious Nazi work slogan 'beyond comprehension': Shatter”.